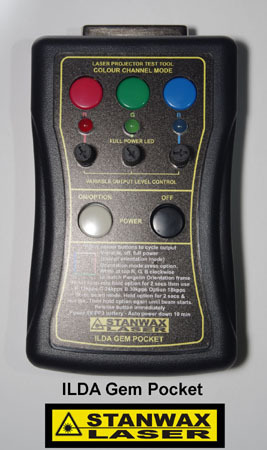 The ILDA Gem Pocket is essential for the toolbox of any laser pro or amateur. Building on its useful predecessor the Gem Pocket packs many features into its stylish pocket sized case. 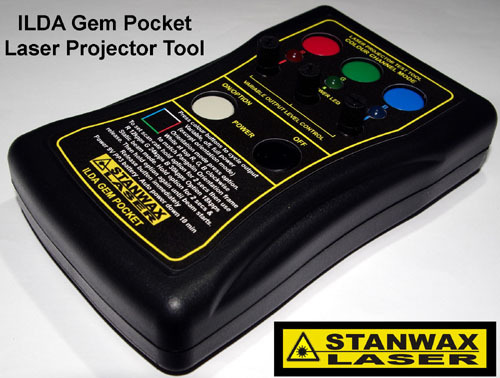 In simple terms it allows you to operate a laser projector for set-up, testing or alignment without having your laser hardware and computer operational - but the Gem Pocket does so much more! 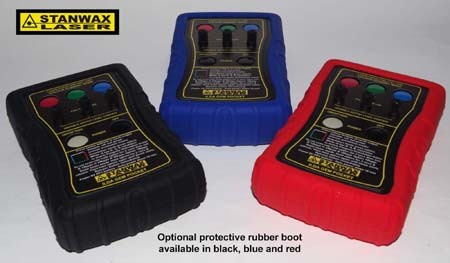 Hardy construction, especially with the rubber boot, this unit is ideal for in the field quick n dirty testing as well as ideal just to make jobs easier when servicing your units. This unit will save you one day in the field on a job, and you cant put a price on that kind of instant help. Great tool , Great value.